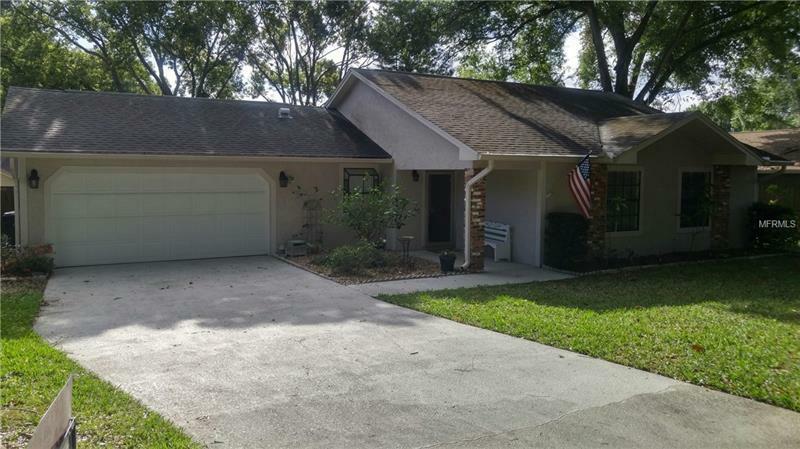 Very nice 3 bedroom, 2 bath home in established community with no HOA! !.This home features a very large living room, separate dining room, 36 foot long tiled screen room, large fully fenced back yard, mature landscaping with large oak trees, new kitchen appliances, hardwood floors in the living, dining and master bedroom. The interior of the home is being painted. Also the A/C system and the roof have been replaced since the home was built. This home is located next to a park with tennis courts, baseball and soccer fields, playground and boardwalk to the chain of lakes.